IAVA is proud to have previously testified in front of this committee recommending the need for the consolidation of care in the community for veterans enrolled in VA health care, and we applaud Congress for requiring VA to put forward a plan for consolidation. We also want to recognize senior leaders at VA for acknowledging the need for consolidation and providing an approach and process that was inclusive, transparent and veteran centric. Last year, as the much needed Veterans Access to Choice and Accountability Act (VACAA) was being implemented, it became apparent to our members across the country the new law was confusing and added to a series of pre-existing VA programs designed to provide care in the community. According to IAVA’s most recent Member Survey, 43 percent of respondents stated the main reason for not utilizing the VA Choice Card program was simply because they did not know how; while 28 percent of our members who did utilize the program said their experience using the VA Choice Card was extremely negative. Although necessary to address the access crisis at VA revealed by the scandal in Phoenix, the Choice Program quickly became an example of what was, and was not, working for veterans, physicians and VA employees when it came to providing accessible, timely and high-quality care in the community. IAVA has conducted numerous surveys, polls and focus groups collecting feedback from thousands of our members while working with industry and other stakeholders to understand what was needed in order to have a successful consolidation of care in the community. We have attended over 25 formal meetings with other VSOs and VA staff to share what our members were experiencing at the local level in terms of care in the community and have had dozens of additional informal calls, meetings and other opportunities to provide direct feedback from post-9/11 veterans. Based on feedback from our members, IAVA believes any plan to consolidate care in the community must be simple to understand, consistent across the country and place the needs of the veteran above all else. The plan put forward by VA meets the above criteria and should be the framework for legislation in order to consolidate care in the community and provide improved and seamless access to care for veterans. Despite the progress made by Congress, the VA and the veteran community, we have three main concerns: (1) Congress drafting and enacting the required legislation to effectively consolidate care in the community; (2) the VA’s ability to effectively implement the new laws designed to consolidate care; and (3) the continued focus on access without enough emphasis on healthcare outcomes for veterans, especially as veterans start to see community providers who have not historically served the veteran population. Congress acted swiftly and put veterans first in the wake of the access crisis by passing the Choice Act and this committee has been a strong partner with IAVA as the program was being implemented. Unfortunately, even as Congress mandated that VA provide a consolidation of care plan, individual members of Congress continued to put forward incomplete one-off plans and legislation that did not include feedback from veterans, VSOs or VA.
As Congress rightly moves forward to simplify a very confusing process for veterans by drafting legislation to consolidate care in the community, IAVA highly recommends Congress utilize VA’s plan as the framework for legislation and avoid one-off proposals that are mis-informed or put politics ahead of veterans. After all, it was Congress who provided the numerous different plans that added to the confusion and inefficiencies which resulted in the need to consolidate care. We believe Congress should be mindful of these lessons, learn from them and leverage the VA’s plan as the framework for consolidation of care moving forward. In order to address these inconsistencies and shortcomings, IAVA recommends VA continue its collaborative effort to include all stakeholders who share their vision of putting the veteran first and focus on values based leadership in an attempt to change the culture of VA across the country. Given the serious shortcomings related to training front line personnel on the implementation of Choice and customer service generally, the VA should also continue its efforts with myVA and must ensure all VA employees are properly and consistently trained on any new plan to consolidate care. Finally, IAVA encourages everyone, Congress, VA, VSOs, industry and other stakeholders, to place an increased importance on the quality of care veterans are receiving, especially as new providers who have not traditionally served veterans join new networks to provide care in the community. We need to pay special attention to the care veterans receive in the community to ensure that the quality of care is consistent with the care provided by VA and private providers are educated on how to best treat our veterans. As community providers are increasingly called upon to serve this population, a recent RAND report suggests community providers might not be well equipped to address the needs of veterans and their families, specifically in understanding high quality treatments for PTSD and other mental health injuries. In closing, IAVA would again like to thank this Committee for your leadership and continued commitment to our veterans. It is a privilege to testify in front of the committee today, and we reaffirm our commitment to working with Congress, VA and our VSO partners to ensure veterans have access to the highest quality care available and our country fulfills its sacred obligation to care for those who have borne the battle. There have been real challenges and tragedies in the past; however, we believe there is a real opportunity to transform the VA for today’s veterans through a one team, one fight approach. Thank you, and I’d be happy to answer any questions you may have. As Political Director, Mr. Rausch supports the development of IAVA’s annual policy agenda and advocacy campaigns through trusted relationships with Veteran Service Organizations and government agencies. He is a former Army Major who served 17 months in Iraq under both Generals Casey and Petraeus while assigned to the Information Operations Task Force. 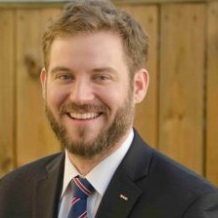 Prior to joining IAVA, Mr. Rausch was a Senior Consultant providing services to the Department of Veterans Affairs and most recently to the Department of Defense while assigned to the Pentagon. He has broad experience working with veterans and veterans’ issues from his work on several major political campaigns to serving as Team Red, White and Blue Chapter Captain for his local community in Alexandria, VA. He received his Bachelor of Science in Geospatial Information Science from the United States Military Academy, West Point, NY. Neither Mr. Rausch nor the organization he represents, Iraq and Afghanistan Veterans of America, has received federal grant or contract funds relevant to the subject matter of this testimony during the current or past two fiscal years.